US Diagnostics, Inc. announces the expansion of distribution of the INFINITY® Blood Glucose Monitoring System throughout Western Africa. US Diagnostics, located in New York, is the OEM Manufacturer of the INFINITY® Blood Glucose Monitoring System and has been manufacturing accurate and reliable diabetic testing supplies for almost 15 years. US Diagnostics is working closely with Sentech Corp as their exclusive distributor in Western Africa. Sentech Corp is a member of the Diabetic Association of Senegal. Also, Sentech Corp has been awarded contracts with the Department of Health and the military hospitals of Senegal. In addition, the company currently distributes INFINITY® supplies to veterans. Sentech Corp remains committed to bringing top quality and affordable diabetic supplies to many of the surrounding areas, and is currently working on contracts for distribution in Cote D’Ivoire, Niger and Ghana. 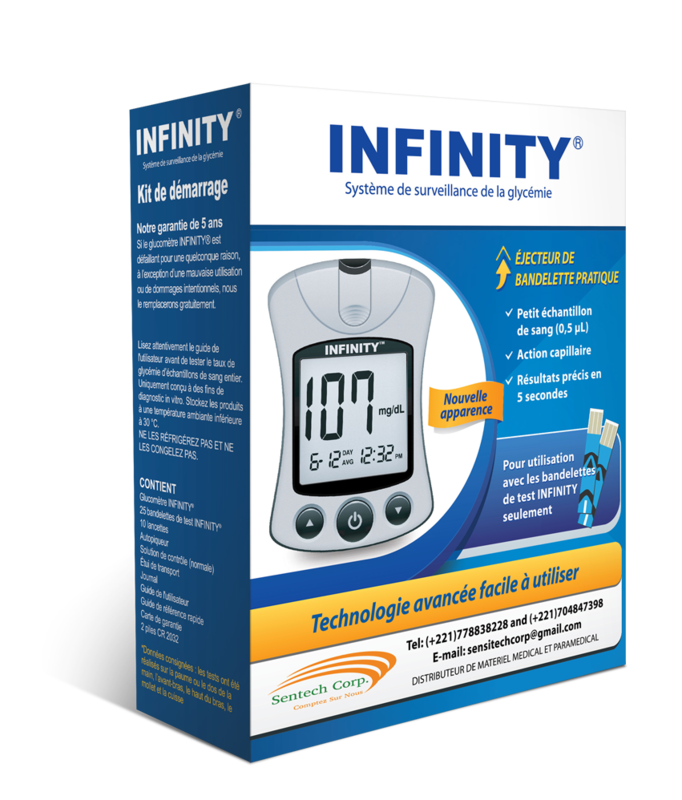 For more information on the INFINITY® Blood Glucose Monitoring System please visit www.usdiagnostics.net or contact Sentech Corp at (221)771014104. For over a decade, US Diagnostics, Inc. and Servicios Diabeticos de Puerto Rico have been teaming up to provide affordable, top-quality diabetic supplies to their customers in Puerto Rico. Since its inception in 2002, Servicios Diabeticos, located in San Juan, has been focused and dedicated to bringing innovative and affordable technology to diabetics across the island. US Diagnostics, based in New York City, is an OEM manufacturer and distributor of cost-effective and high quality diabetic blood glucose monitoring systems. Together, US Diagnostics and Servicios Diabeticos share a fundamental belief in the importance of providing only the best services and supplies to their patients. 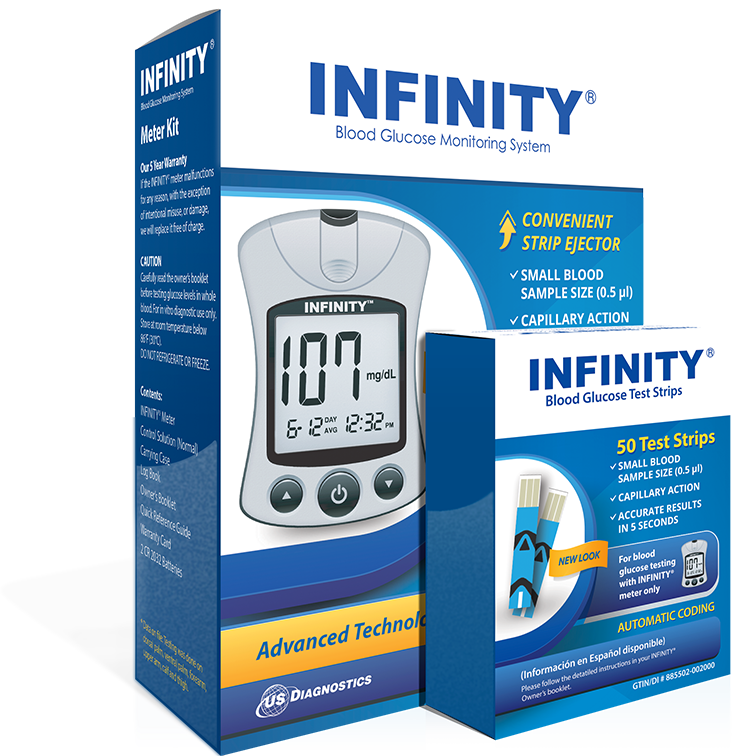 INFINITY® Blood Glucose Monitoring System and test strips are available at many pharmacies in Puerto Rico at an affordable and competitive price. INFINITY® is also available nationwide, and is approved for in home individual use as well as for clinical settings. For more information on INFINITY® brand testing supplies, visit www.usdiagnostics.net. U.S. Diagnostics Inc. is proud to announce the introduction of the Infinity® Automatic Coding Blood Glucose Monitoring System joining our line of quality and competitively priced blood glucose monitoring products. The Infinity® Monitor reads the test strip and automatically sets the code making testing easier and more accurate. Infinity® is approved for home and clinical use by the U.S. Food and Drug Administration (FDA).